Happy Saturday and Shamrock-Shuffle-Eve! It is a refreshing 69 degrees in our fair Chicago! There also happens to be, “Southerly winds of 20 to 30 MPH with gusts to 40 MPH are expected through this evening” according to our friends at weather dot com. 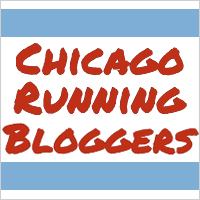 This morning, the plan was to hopefully wake up, shower/shave, strap some vibrams on my feet and hop a train or a bus downtown to meet up with some people, who I have not yet met, for a run to Navy Pier. This was all in prelude of course to visit the Shamrock Shuffle expo and do packet pickup. Plans work out differently when you stay up later than you expect watching Les Misérables with some friends. Naturally we acquired some bread and imbibed some wine, yet still I was up early enough to have plenty of time to make the trek downtown; I simply wanted to finish the book I was reading before I left. This didn’t end up happening, so instead, I slipped my feet into some Tom’s, grabbed my book, and headed to the Expo. Two buses and several chapters later, I arrived on the even windier, Navy Pier. I followed the trail of plastic race packet bags down past the boats and ships, past the food court and the Ferris Wheel, to the far entrance on the Pier. I followed a puppy up the stairs who’s owner said she was trying to be ‘discrete’ to sneak her into the expo without anyone noticing. One of the volunteers at the expo entrance who was handing out fliers sternly put his hands on his hip when he saw the dog. The dog seemed to realize that she wasn’t supposed to be seen and slowed down as she tried to hide behind the opposite leg of her human companion. When the volunteer saw this, his hands dropped to his sides and he fell into a crouched position, smiling at the puppy, and gesturing for her to come towards him. The owner said that she was trying keep a low profile so that no one would notice a dog inside Navy Pier; the volunteer didn’t seem to think anyone would mind. The puppy, now getting behind her ears scratched, didn’t seem to mind either. The expo was about like expos go. Despite quite a few people being present, it did not feel as crowded as expos tend to feel. I was half expecting, especially for a race this size, that the place would be wall to wall runners and their friends/families/supporters etc. It looks like either the organizers did a pretty decent job of controlling the flow of the crowd or maybe others also expected it to be wall to wall chaos and just wanted to get their packets and get out. Perhaps most people stopped by for packet pickup on their way home from work on Friday. I didn’t stay very long either. I got my bib on one end of the exhibit hall, then walked to the other end to get my race shirt (nice green tech shirt). After getting the importing things out of the way, I wandered around. Your usual gear sales and future race promotion was there for your convenience, but nothing really new popped out at me. I did see one race that I might want to do, the CrosstownClassic 10k, a fun North side-Southside ‘rivalry’ race on 9/28/2013 complete with a finisher medal. After I was finished picking up some more info at the ‘Paws’ (‘Chicagolands’s largest no kill humane organization’) booth, I was handed a flier for a full marathon in Osaka, Japan! This sounded fantastic. Sadly I am not presently at a point in my training that will allow me to run a full marathon anytime soon, but took the flier for future reference. After leaving the main expo hall, I found a seat by the windows in the hallway outside overlooking the waves crashing into the bustling Navy Pier. I pulled out the Japan Marathon flier and began to peruse. Apparently, they have a package that covers the race fee, accommodations (6 days 4 nights), round trip airfare from O’Hare to Osaka Itami Airport, and even an English speaking tour guide! Pretty impressive package for $2,498 considering a plane ticket alone to Japan is outrageously close to that price. Perhaps next race season, once I have a Half or two under my soles. After getting back from the expo, I waited around until the sky looked like it was on the verge of opening up and dropping refreshing beads of water on me as I ran along Lake Shore trail. Halfway through my run in very welcome high sixty degree weather, it did just that. Not a bad way to spend Shamrock-Shuffle Eve!